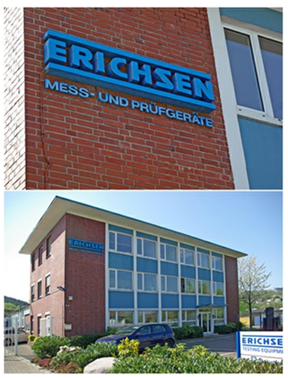 Our company, ERICHSEN GmbH & Co. KG was founded in 1910.
of our products. This results in perfect and innovative high quality products. 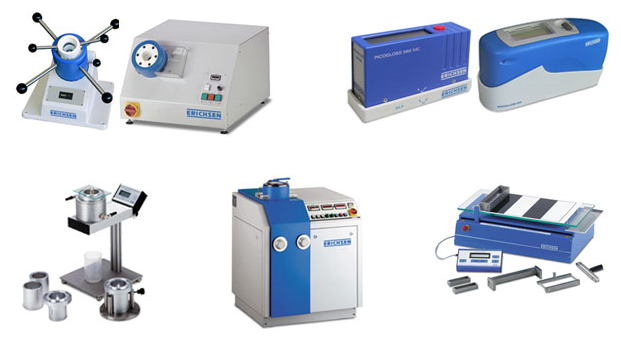 These products meet global requirements on testing technology and exceed international demands on accuracy. Within the cintrol and monitoring of measuring devices we offer a calibration service for our testing machines and instruments as well as for machines ans instruments from other manufacturers. Our most important strength is the realisation of special test requirements from our customers. Together with our customers we develop either a standard solution or an individual version for their application.